In today’s day and age, you need a social media strategy for your business, or else you’re missing out on reaching thousands of potential customers. While you can’t master everything, you should pick one platform and focus your efforts there. Whether that place is Facebook, Instagram, Twitter, or Pinterest, that platform should be the place where your ideal customers spend their time. If that place happens to be Pinterest, then you’re in the right place. Personally, I prefer Pinterest above all the others. The truth is, the things you share on Pinterest live forever, with the potential to be shared and re-shared infinitely. On Facebook and Instagram, you make a post, and it gets buried way down the feed very quickly, highly unlikely to be seen ever again. Sign up for Pinterest for business. It’s free to sign up, and validates your profile as belonging to a real life business. You want to look as professional as possible to gain followers. Set your profile image to a picture of yourself. You are the face of the business, and people are more likely to connect with another person instead of a logo. Verify your website. See this post for step by step instructions. Again, having that extra layer of validation makes your business look more credible. Create a board just for your blog posts. Every time you create a new blog post, you’ll pin to this board, as well as any others it makes sense. The pins is this board should all have a very similar look (more on this later), so this is a great board to feature in your cover profile. In the top right-hand corner, click on the pencil icon, and select that board. Create other boards that may be of interest to your ideal customer. So, if you’re a bakery, you may also pin birthday party ideas, invitations, wedding decor, or anything else related to your services. Having this type of information on your profile will attract more followers that have the potential to see your business’s information and translate into customers for you. Create uniform board cover photos. Design square images all with the same background and font, and add the name of the board for each. Within your Pinterest profile, click on the board you’re adding the cover photo to, and add a new pin. Upload your image, adding a description and link to your website. Edit the board, and change your cover photo to the image you just uploaded. Now, all of your boards will have a similar cover and your profile will look uniform. Following these steps above will set up your Pinterest account so that you’re ready to share your best content. You will present your business as a professional brand that looks like you totally know what you’re doing. Create 3-4 pin-worthy images for each blog post. Vertical images on Pinterest are ideal. Your images should be branded using the same colors and fonts from your website, using the same template every time. Following these guidelines will help your followers easily identify new information from you. Share new blog posts once to Pinterest on the same day they’re posted to your website. Ideally, you’ll be posting on a regular basis, and your followers will know when to expect new content. You may find reading my post about blogging on Squarespace helpful for more info here. Use a tool such as Tailwind to schedule out your pins, including those other 2-3 hidden images. By using the Tailwind extension in your browser, you’ll be able to see those other images appear as an option. Space them out at least a day apart, and if you’re really going for gold, add them to your SmartLoop. If you haven’t gotten the gist by now, I love and use Tailwind, and highly recommend it! Create an account on imgur, and upload your images. While in the Edit mode of your blog post, insert a code block at the end of your content. I learned the hard way that putting it in the middle will disrupt your post. Within imgur, click on the image you want to hide in your post. On the right side, you’ll see “HTML (website/blogs). In imgur, copy the HTML code, and paste to the right of the code you just entered in the block in Squarespace. Hit save, and that’s it! The image will appear whenever anyone (including you) wants to add a pin from your post, either from the Pinterest or Tailwind extension. 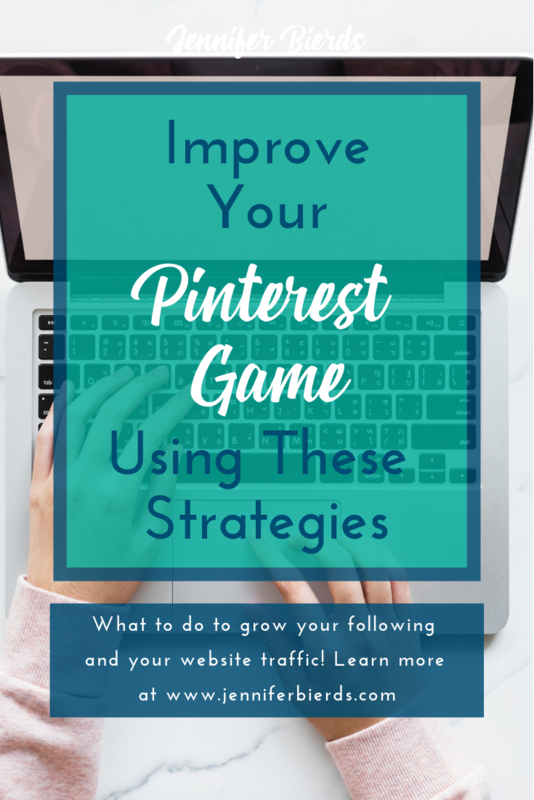 With Pinterest, your images are key, but people won’t come back to your site if you’re not providing valuable information. Make sure you’re blogs are helping your potential customers, not just a pretty picture to lure them to your website. If you’re doing both, you’re more likely to grow a following. Follow like-minded pinners for access to related content in your home feed. The content pinned by the people you follow will appear when you first log in to Pinterest. Use a scheduling tool like Tailwind to automate pinning. You’re running a small business - you don’t have time to sit around every day and pin things a little at a time. Using something like Tailwind allows you to schedule out your pins as far in advance as you want, and they’re pinned at optimized times throughout the day. Join Tailwind Tribes. Tribes are groups on Tailwind with a common interest. Joining a tribe with content related to yours allows you to share your posts to a group of people likely to re-share to their followers, who will share to theirs, etc. It’s a great way to grow your momentum and a huge timesaver. The more people that see your pins, the more people that have the potential to click through and visit your site. Blog on a regular basis, and share those posts on a predictable schedule. There’s a reason it’s called content marketing - you’re creating content as your marketing strategy. The more you put out there on the internet, the more likely you are to be found. It really is that simple. This is my social media strategy, in a nutshell. I also push my posts to Facebook and LinkedIn through the social option in Squarespace, but I don’t spend much time at all there. 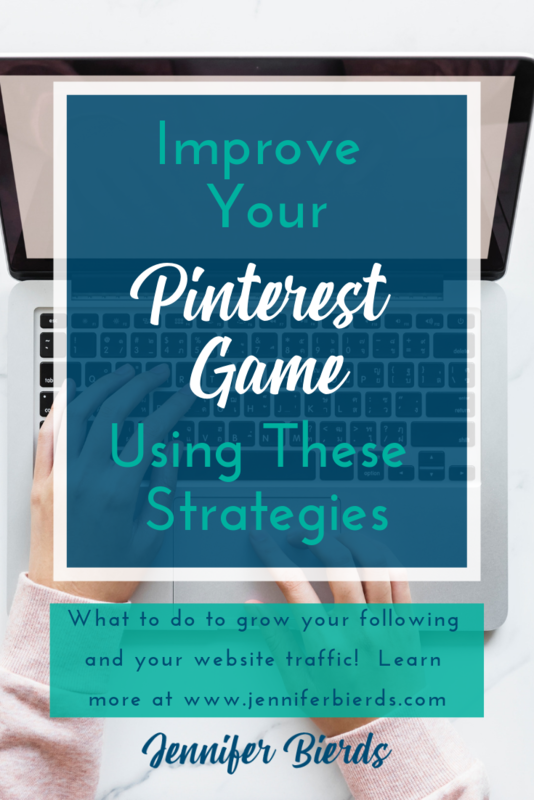 Since I’ve committed to Pinterest, I’ve seen a steady increase in followers, as well as growth in traffic to my website. I will say that I also actually enjoy using Pinterest, so that makes it easier for me to focus here. If you love Instagram, for example, I’m sure you could adapt the above strategy to that platform instead. In fact, Tailwind can be used there, too! I’ve seen results with this strategy, and I feel confident you will, too. If you have any questions, or need any clarification, feel free to contact me. I’m always happy to help in any way I can! 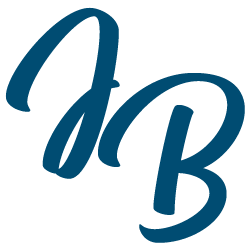 And, if you’re interested in learning more about what a custom Squarespace website can do for your small business, book your free call with me here, or check out my portfolio by clicking below.